This was the simplest way to implement Singleton Design pattern in Java. Can you think a simpler approach to creating Singleton in Java? What is the benefit of using Enum to implement Singleton pattern? 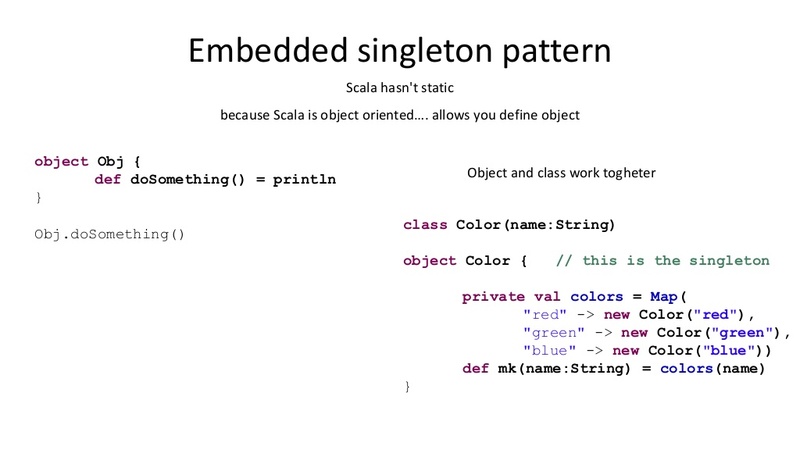 1) Singleton instance is thread-safe because JVM guarantees that Enum instances are created in a thread-safe manner. 2) JVM also guarantee to maintain Singleton status when Singleton class implements Serializable which is still possible without Enum by using readResolve() method but tedious and complicated. 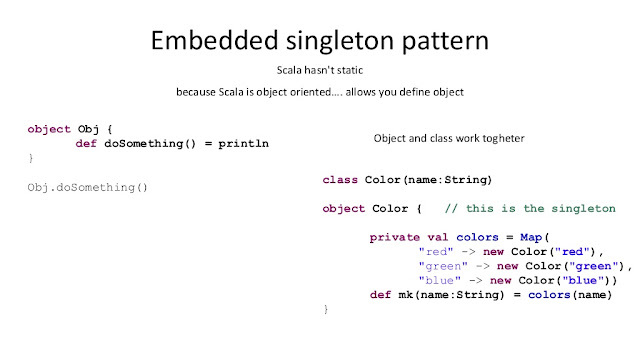 and here is the embedded Singleton pattern of Scala, because it doesn't have static. In Summary, Singleton is very useful design pattern and Java programmer must be familiar with What is Singleton in Java, How to create Singleton classes, issues faced to maintain Singleton status etc. By using Enum as Singleton, we get some benefits in terms of these issues. 1) Using nested Static Class for lazy initialization. There are lots of good articles on How to write Singleton in Java, which describe these way in good detail.